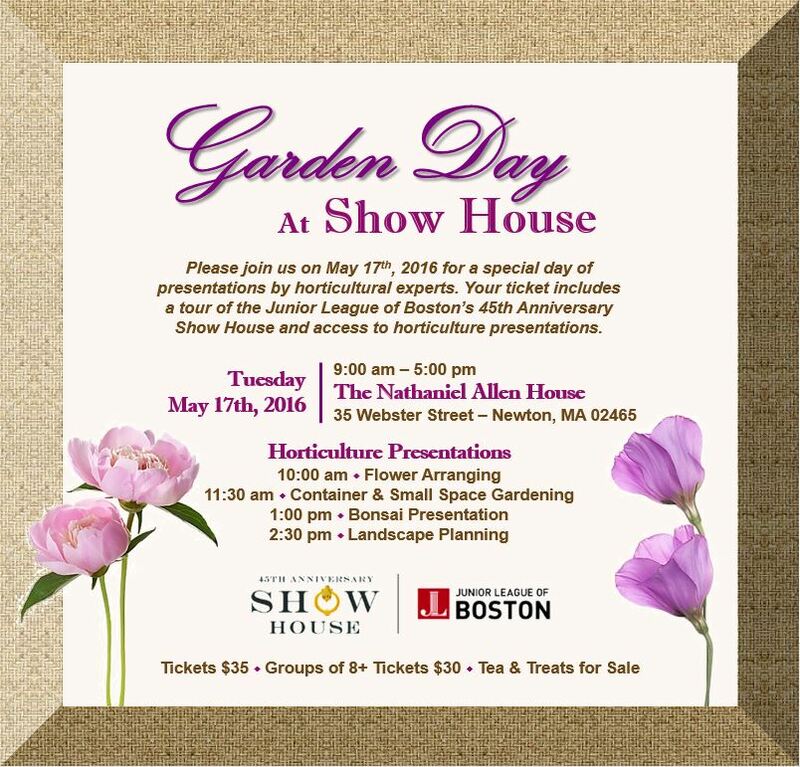 Garden Day at Show House - The Junior League of Boston, Inc. Enjoy Garden Day at Show House 2016! Expert horticulturalists will present throughout the day under a lovely white tent. Tea and treats available for purchase. Your ticket includes entrance to Decorators’ Show House 2016 at the 1854 Greek Revival Nathaniel Allen House in West Newton. Members with a Season Pass for Show House 2016 are invited to join all Garden Day festivities.